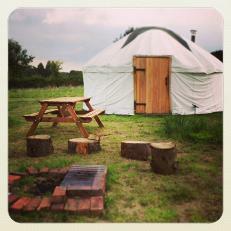 A yurt campsite with 6 English and Mongolian Yurts. 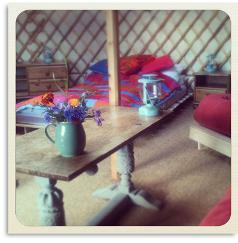 Based on an Organic small holding in the Dorset downs, with an onsite vegetarian cafe and whole food shop. The facilities barn holds showers, toilets and a fully kitted out kitchen and eating area.